Palavras-chave: Cellphone. Tower. Antenna. Territoriality. From the 2000s on it is observed in the landscape of the main urban centers worldwide the multiplication of cellphone’s towers and antennas. Although in the previous decades, towers of radio and landlines could already be found, they were not constant. Such constancy is part of the technical-scientific-informational period. The cellphone system is composed by a trilogy of inseparable geographic objects: cellphone, tower and antenna. 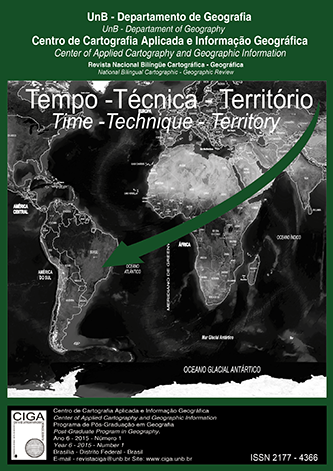 The purpose of the paper is to analyze the territoriality of these trilogy objects, which expresses itself through its spatial distribution and the action of social agents involved in the location and regulation in Brazil. IBGE. Estimativa de população brasileira 2012. Disponível em: <http://www.ibge.gov.br/home/estatistica/populacao/Estimativa2012.shtm>, acesso em agosto de 2013.